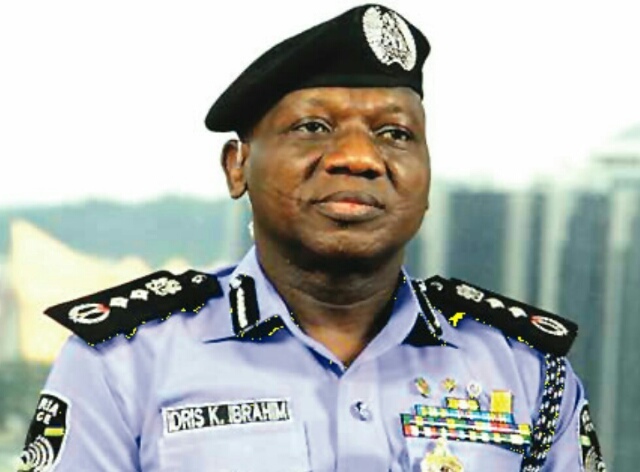 The Inspector-General of Police, Ibrahim Idris, on Wednesday ordered the immediate removal of Ali Janga, the police commissioner in Kogi. Mr. Janga was removed alongside some other senior police officers in the state for their role in the alleged escape of some suspects who were arrested in connection to the ongoing case involving Dino Melaye, a senator from the state. The suspects, who have allegedly named Mr. Melaye as their financier and arms provider, reportedly escaped from custody on Wednesday morning, hours before they were due to be arraigned in court in Lokoja, the state capital. A replacement has been named for Mr. Janga. The Inspector General of Police, IGP Ibrahim K. Idris, NPM, mni, dissatisfied with the circumstances surrounding the escape of six (6) suspects including two (2) Principal Suspects (KABIRU SEIDU A.K.A OSAMA, NUHU SALISU A.K.A SMALL ) who indicted Senator Dino Melaye and Mohammed Audu in a case of Conspiracy and Unlawful possession of Prohibited Firearm already filed at the Federal High Court, Lokoja which came up in court today, 28thMarch, 2018, has ordered the immediate removal of Commissioner of Police, Kogi State Command, CP Ali Janga.
. The Commander FSARS in the State, the Divisional Police Officer ‘A’ Division, Lokoja and other Police officers implicated in the escape for negligence, dereliction of duty and gross misconduct in the escape of the six (6) suspects have also been transferred out of the State and are facing serious disciplinary action. Thirteen (13) other Police officers are currently being detained and investigated for their roles in the escape.
. CP Esa Sunday Ogbu, Commissioner of Police, Federal Operations, Force Headquarters, Abuja has been directed by the IGP to immediately proceed and take over as the new Commissioner of Police, Kogi State Police Command.
. Furthermore, on the order of the IGP, the IGP’s Intelligence Response Team and Special Tactical Squad, Personnel of the Force Criminal Investigation and Intelligence Department have already arrived in Kogi State to work with the Police personnel in the State for immediate re-arrest of the escaped suspects. They are to also carry out detail investigation into the escape and bring all those involved to justice.
. The Force wishes to implore the good people of Kogi State to remain calm and assist with useful information to the Joint Police Investigation Team. They can report any information they have on the escaped suspects to the nearest Police Station in the State or any other State in the Country.